(By Mandee Pauch) WEST LEBANON, N.Y – Sept. 1, 2016 – Matt Sheppard made a late race charge by Kenny Tremont Jr. and set his No. 9s machine on cruise control at Lebanon Valley Speedway for the Super DIRTcar Series Big Block Modified Mr. Dirt Track USA 100. The Valley’s regulars, Tremont Jr. and Keith Flach started the 32-car field to the initial green. Tremont jumped out early to a sizable lead. Tremont caught the back of the field on lap 21. Tremont was no stranger to lap traffic as he worked his way through pulling away from Flach and Brett Hearn. Hearn slowly worked his way on the bottom through lapped traffic and started knocking on the rear bumper of Flach patiently waiting to make his move for that second spot. Tremont was slicing and dicing his way through lap traffic until the halfway mark when Flach and Hearn started closing in. Tremont lead the way at the halfway mark over Flach, Hearn, Friesen and Matt Sheppard. Hearn used the bottom groove and drove by Flach for the second spot then chased Tremont down as he started knocking on his doors on lap 52. Just as things were heating up the second yellow flag of the night was brought out for a slow moving Jimmy Horton on lap 54. Tremont was running the topside as Hearn patiently hugged the bottom of the track hoping to make ground on him. Sheppard moved into the fourth spot over Friesen then drove under Flach and pulled away in third on lap 65. Tremont, Hearn and Sheppard were in their own league as they pulled away from the field, catching lap traffic on lap 75. Hearn then moved to the top to maneuver through lap traffic, opening the door for Sheppard to drive under him on lap 84 advancing Sheppard into the second spot. Friesen passed Flach on the bottom coming out of turn four for the third spot on lap 85. Sheppard was able to complete the pass as he dove to the bottom in turn three, slid to the top coming out of four, worked his way around a lapped car and took the lead on lap 89. The third yellow of the night was brought out on lap 90 due to a slow moving fourth place runner Hearn with a right rear flat. 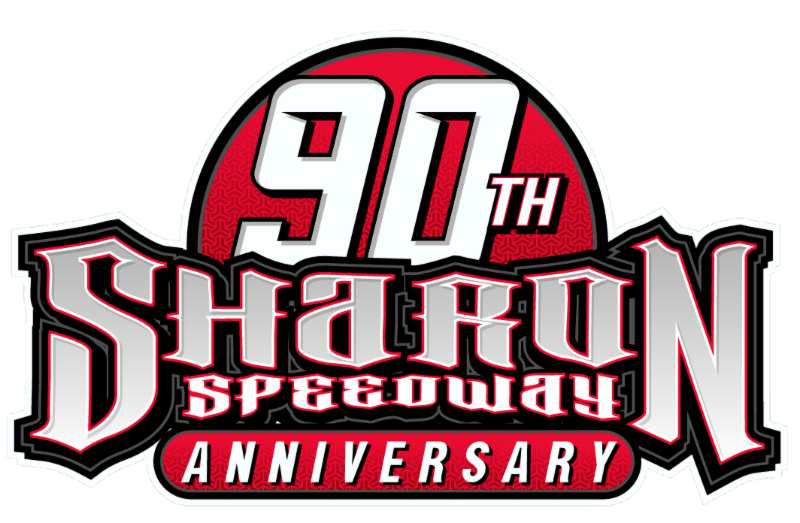 The final restart of the night saw the field restart single file as Sheppard set his car on cruise control as he pulled away with half a straightaway lead over Tremont. On that restart Friesen worked his way on the bottom for a couple of laps and was able to slide by Tremont for the second spot with just two laps to go. It was all Sheppard as he sailed his way to his first ever Mr. Dirt Track USA victory. Sixth place starter Friesen looked to make a repeat of last year but fell one spot short. Lebanon Valley’s regular Kenny Tremont Jr. led all but the final twelve laps of the feature rounding himself off with a third place finish. Races Notes: 38 modifieds attempted to qualify. 32 cars started in the A-main. Only three cautions were brought out during the feature on lap 8, 54 and 90. Tremont lead 88 of 100 laps. Fast timer in time trials was Brett Hearn with a 19.236. 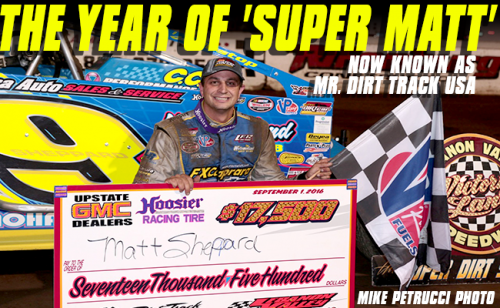 The Super DIRTcar Series will head to Weedsport Speedway next on Labor Day Monday, Sept. 5th in Weedsport, N.Y.